My colleague and friend, Glen Arnold, stumbled across a pest of winter wheat that I was unfamiliar: wheat stem maggot. Thanks to Greg LaBarge for the correct identification. 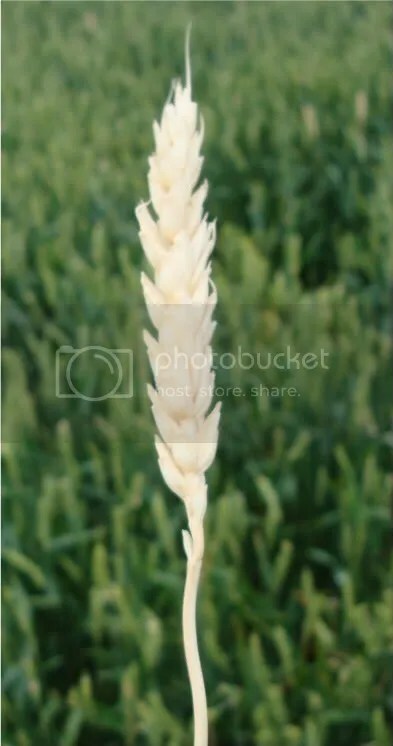 Glen indicated that 5% of the wheat field had “bleached heads”. 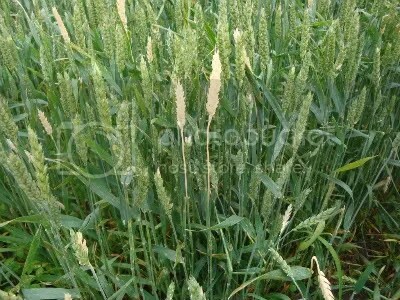 Closeup of the white, bleached wheat heads. Damage caused by maggots feeding in the upper portion of the stem cuts off nutrient flow and the heads turn a whitish color. 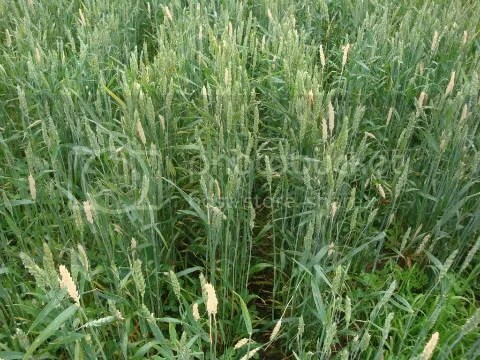 The farmer indicated the variety was bin-run wheat with no seed treatment planted about October 1st, 2008, following corn. The field was topdressed with urea but no fungicides or insecticides have been applied. The wheat field looked normal prior to heading. The bleached heads are dead but the plant looks healthy. No other fields in the area seem to have these symptoms. The heads easily pull out from the top of the plant and look rotten where they attach to the plant. Wheat stem maggot larvae overwinter in grass species. The females lay one egg per stem near the flag leaf. 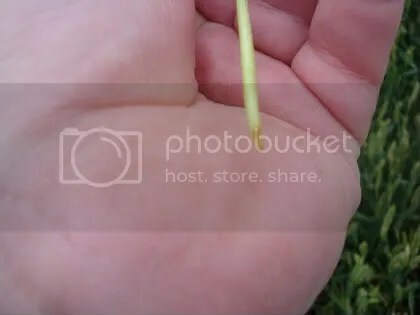 The larvae burrow into the stem, killing the upper part of the stem and the head. This pest does not cause widespread damage to winter wheat in Ohio and chemical controls are not recommended at this stage. Entry filed under: insects, wheat. Tags: wheat stem maggot.